Ultra telephoto 4x zoom lens with a focal length of 150-600 mm. Ideal for many types of photography such as sports, airplanes, birds and other distant objects. Equipped with a fast and precise USD (Ultrasonic Silent Drive) ultrasonic sharpening motor that ensures noiseless operation and high-speed AF (autofocus). The lens consists of 20 elements stored in 13 groups. Three LD (Low Dispersion) glasses provide excellent optical correction and compensation of telephoto abberations. For taking pictures only by hand, there is the VC (Vibration Compensation) image stabilization system with a patented mechanism. The circular aperture creates beautiful background defocus effects. The precision processing structure minimizes lens movement when zooming and reduces the range extension tube, so that the lens has compact dimensions. 1,950 g (1,950 g) Done! 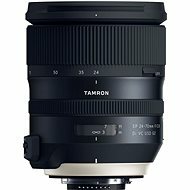 For shipping to other EU countries visit this page TAMRON SP 150-600mm F/5-6.3 Di VC USD for Nikon. 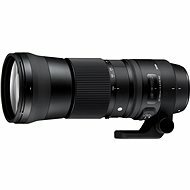 Für Versand nach Deutschland, besuchen Sie bitte TAMRON SP 150-600 mm F/5-6,3 Di VC USD für Nikon. Chcete doručit zboží do Česka? Prohlédněte si TAMRON SP 150-600mm f/5.0-6.3 Di VC USD pro Nikon. Chcete doručiť tovar na Slovensko? Prezrite si TAMRON SP 150-600mm F/5-6,3 Di VC USD pre Nikon. 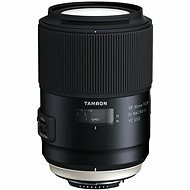 Für Versand nach Österreich, besuchen Sie bitte TAMRON SP 150-600 mm F/5-6,3 Di VC USD für Nikon. Magyarországra történő kiszállításért tekintse meg ezt a termékoldalt: TAMRON SP 150-600 mm F/5-6,3 Di VC USD Nikon.